Americans may want to keep an eye on Israel when it comes to accessing medical marijuana, as new government regulations together with world-renowned innovation, scientific excellence and agriculture prowess are setting this little Middle Eastern country on a path to becoming a major hub in the medicinal cannabis arena. “Israel has one of the oldest medicinal cannabis programs in the world, with nearly 30 years of patient access to product, as well as the recording of clinical evidence. As a result of advantageous state regulation, Israel is on its way to becoming the center of the medicinal cannabis movement,” Saul Kaye, CEO of pharma company iCAN and a major force in propelling the Israeli cannabis market forward, tells Emerald Report. The global legal marijuana market was valued at $14.3 billion in 2016, according to an April report by Ameri Research Inc., a US market-research and consulting company. Ameri noted that the market for medical marijuana will reach $33 billion by 2024. Over the past few months, the Israeli government has announced plans and policy changes to win a piece of this burgeoning market. Legislation is on its way to allow Israeli growers to export their products and is expected to be in place in 2018, according to a joint committee measure agreed upon by the Israeli Health and Finance ministries in August. 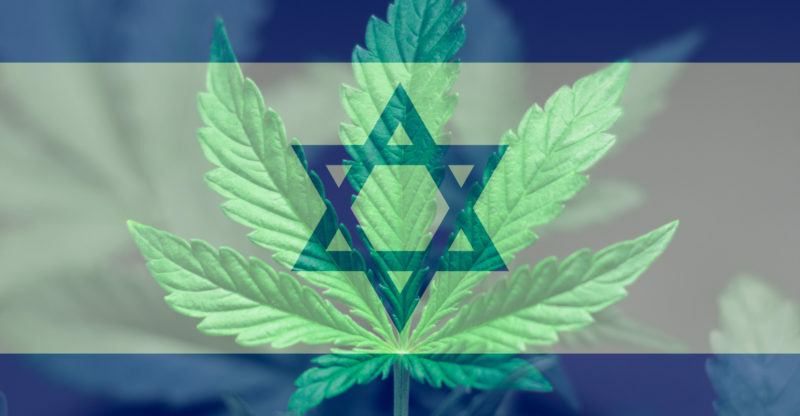 Israel will join Canada and the Netherlands that already sell cannabis on the global market, as well as Uruguay, which allows government-authorized medical cannabis exports. In September, Israel’s agriculture minister declared medical-grade-cannabis growing as an official farming sector. It was the first time in 10 years that the government added a new farming classification. 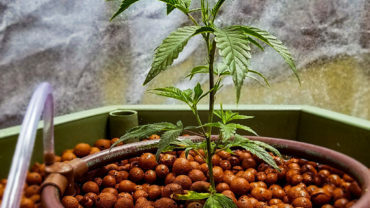 Now, medical marijuana farmers will qualify for government aid – grants, training, water quotas. Moreover, in the coming weeks, the Israeli Health Ministry is expected to determine that CBD, the major substance in the cannabis plant, is not a danger to one’s health. As such, Israel will join Canada and many European nations in manufacturing and selling cosmetics containing cannabis. “This is a long overdue development. Many countries already manufacture and sell products with CBD included in the ingredients including Canada, just about every country in the EU, and many states in the US. Israel, the most advanced nation on earth in cannabis R&D will be able to produce and market superior products igniting a new export market that will grow even bigger when Israel is able to export cannabis products which include even more substances found in the cannabis plant,” says Kaye. The country’s main calling card, of course, is its designation as one of the leading cannabinoid centers of research in the world. Israel has been at the forefront of medical cannabis research since 1964, when now retired Hebrew University Professor Raphael Mechoulam led a team that first isolated THC, the main active principle of cannabis. Since then, a crop of Israeli researchers and scientists has made Israel the academic marijuana mecca it is today. Nachshol Cohen, who has over 10 years of experience in the industrial scale cultivation of cannabis, thinks Israel will gain prominence in the cannabis arena with its specialization of cannabis strains to treat a variety of illnesses as well as its inventiveness in medical delivery devices. “Right now, foreign business people and banks and pharma companies are really starting to look for opportunities in Israel,” says Cohen, a co-founder of Alvit LCS Pharma, a pharmaceutical company dedicated to development of products based on cannabis-standardized extracts. Indeed, on any given day, international researchers, global canna-entrepreneurs and transnational pharma experts can be found in Israel at one of the country’s labs, startups or universities working in the medical marijuana field. There are about 120 studies currently underway in Israel, including clinical trials looking into how medical marijuana could help people with asthma, autism, arthritis, epilepsy, Alzheimer’s, cancer, colitis, Crohn’s and other conditions. Many of the studies are collaborations and partnerships between Israeli institutes and US companies. For example, OWC Pharmaceutical Research, a developer of cannabinoid-based therapies, and Breath of Life Pharma, which develops cannabis-based medical products and cannabinoid APIs (active pharmaceutical ingredients), regularly join forces with American and other international academic and medical institutions to create new medications. There are also Israeli-American collaborations ongoing in the US, including Israeli medical marijuana grower Tikun Olam’s agreement with Massachusetts-based holding company MariMed, which has agreed to cultivate, manufacture and sell the Israeli company’s MMJ products in seven states. Indeed, with the medical marijuana field still defining itself and its clinical standards, Israel hopes its research expertise – together with its known prowess in agriculture and medical device innovation – will enable it to create the world’s best quality medical-grade cannabis and lift it above countries with much bigger markets. Viva Sarah Press is a journalist who specializes in writing about creativity, innovation and ingenuity taking place in Israel and beyond. She is also a speaker, content writer, and medical clowning student.